In a shocking turn of events, Team Drag2Death which got qualified to ASUS Rog Masters scheduled in Malaysia, has been denied a slot following their roster changes, BOT from UAE have been given the opportunity to participate in the $50,000 event which is taking place from 12th to 13th of November. Indian Esports is at its historical peak right now. With international events reserving slots for Indians, we are to the highest degree of acknowledging the offered respect, overseas. But what still lacks is the sincerity, the prediction of a better future. Indian CSGO was recently the victim of a parenthetical approach or rather unpremeditated undertaking which resulted in an Indian team disqualified from a two-month-long event. We are talking here about the Indian team which qualified through the ROA slot at Asus ROG Masters. Team Dare2Dream which also happens to be the franchise of the organizers of the event, Drag2Death. I recently covered and congratulated the qualified team and their youngest player Sabyasachi ‘antidote’ Bose in a story. Unaware of the fact that they were already in a mishap, they were ineligible to travel abroad due to unavailability of travel documents. The lineup, which is supposed to be one of the top four in the country, failed to prepare themselves for the international opportunity. There are two sides of the story, as usual, it is you, the reader who chooses which one to believe. I have personally gone through both the sides and found out this could have been dealt with, resulting in a different outcome. The first side of the story where you blame the Indian system and constitution. Why were they disqualified? They were not. The disqualification came in after rumors were being speculated that Dare2Dream tried to contact players of different teams asking them to play under D2d for the Malaysian event. But while being in touch with D2d players, we got informed that D2d pulled out of the event due to lack of travel documents and players refusing to represent their team at the international level. Two of their players had no passports, and as they tried to avail the passport through ‘Tatkaal’ schemes, they were denied brutally by the officials, says Amol Bharti, CEO of Drag2Death (the parental organization to Dare2Dream). I have myself gone through the details and the context of the email and can confirm the authenticity of his attempts to get the fresh passports. Unfortunate for the guys who were excited to travel all the way to Malaysia with the tri-color flag. D2d blames the passport authorities for the mishap. Why the team participated when they had no travel documents? The second side of the story is interesting. When I say factual, it designates the objectivity of the situation. The other end, which happens to be the prime reason of disqualification is a continuation of the first side. Dare2Dream were unable to attain travel documents (which is mandatory for all the international events) after getting qualified for the finals. They then swiftly got in touch with the players of one of the reputed Esports organization in India, directly. The management was not informed. Players, however, seemed to have been interested in participating but were not allowed by the senior authorities. 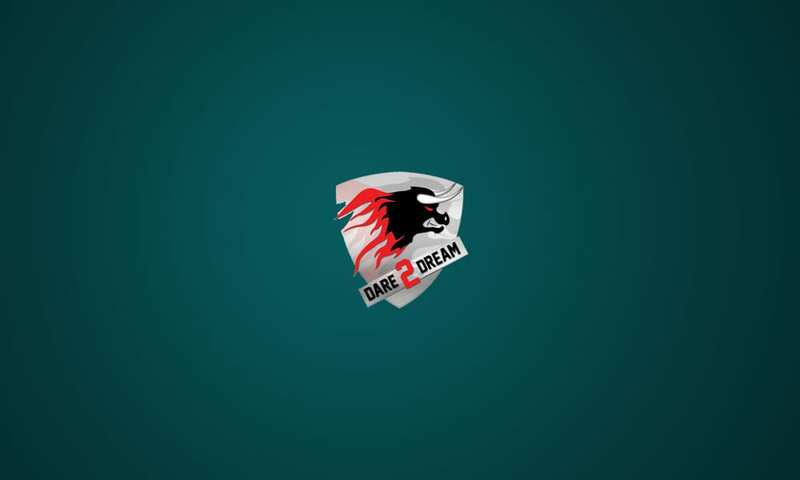 Dare2Dream went ahead and submitted their new line of professional players with passports regardless of their affiliation with other teams which in turn, resulted in the international forum declining the team participation. As a general rule, a team can’t change more than 2 of their players after getting qualified for a tournament. The teams and players in question need not be named, but the only regret which holds us back is.. this could have been avoided. Had there been seriousness and strictness when accepting participation in the international events, this could have been avoided. We missed out on our chance to raise a flag in the Malaysian festival. When organizers such as ESL request proper travel documents at the time of registration, why not in this case? Why was a team allowed even to participate when they didn’t have proper charter as basic as a passport? There is a lot to question about, but the results are indefensible. Dare2Dream will not be traveling to Malaysia to represent India. I only speak the truth which is always supported by concrete evidence. Having said that let me make it clear to TalkEsport audience. 1. Approximately 200+ unique teams participated in the ROG CSGO and Dota2 event. Total 256 teams participated overall. How many teams have passports for all their players? I highly doubt if even 10 teams from India come forward and testify by producing evidence. You can’t deny a team from participation When there is almost a month time availabile to get the fresh passports. Unfortunately for Dare2Dream team one player Spawn had already applied for passport in normal scheme more than a month in advance which still has not got processed. For Sabyasachi we applied in tatkaal by producing all required documents but still it didn’t get processed. Buster didn’t had any high rank officer testify for him so he didn’t get passport either. Dare2Dream management tried every thing possible to get the passports done but blame it on the tedious processes. 2. Dare2Dream management did not contact any players from other teams however was willing to send Indian contingency any which ways. Two players from another top team expressed their interest to play for India. When the management came to know about it from its players, they asked those players about their existing contracts with their present management and they misguided by stating that their contract expires on 2nd of November and they want to go and represent the country on any cost. They were asked to give this in writing, and the Dare2Dream management received the same from two players. Within two hours of receiving the email, Dare2Dream management got in touch with the management of the other team to discuss the matter and offered a bilateral proposal to loan the players following which multiple discussions happened. The management from other team didn’t come to any conclusion and due to the pressure from ESL Dare2Dream management sent the final lineup after re confirming from the considered players and since they had given it in writing, management of Dare2Dream is not liable. A very honest effort was made however that seems to have turned out bad as the said management built pressure on those two players and at last moment the players backed out. 3. ESL Admin earlier allowed to have 3 players from other squads however later maintained the mandate as 2 external players which is right however we didn’t had the passport ready for Sabyasachi Bose due to corrupt officials of Kolkata Passport Office Mr S. R. DAS. A formal complaint to external affairs ministry was made to take action on such people. 4. Management of Dare2Dream or Drag2Death is as clear as crystal and is highly aware of the present situation of Indian eSports and have been a big contributor to it and will continue to play its part as always. Honest and modest. We don’t let our wins go in our head and losses to our heart and that’s what we are truly believe in.